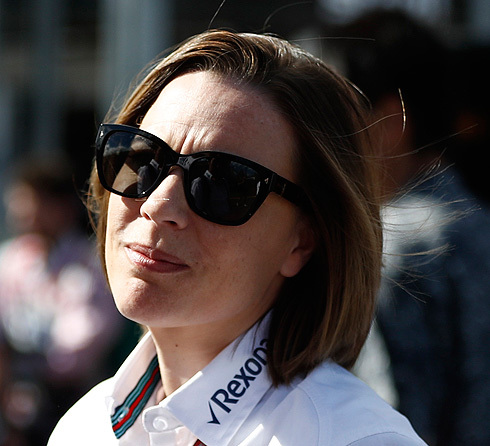 In a recent interview Claire Williams would discuss how the Williams team was progressing in resolving the issues that had affected the teams performances in 2018. Claire would put forward the view that the problems of the 2018 season had in large part been addressed. But even so that the team was still working hard to see an improved 2019 season. With the opening 2019 test drawing closer Racer.com took the opportunity to speak to Williams' Claire Williams to discuss how the team was progressing in regards to resolving the issues that had seen the team finish last in the Constructors championship after having produced what would turn out to be a totally uncompetitive F1 car the FW41. Claire would put forward the view that the problems of the 2018 season had in large part been addressed. But even so that the team was still working hard to see an improved 2019 season. Claire said: "I have to say that the atmosphere is good, everyone is working really hard. Of course we have a plan that we need to implement due to the construction of the car and everything goes as we expected it. "However, it is a case where we have to wait for tests and see what the others have prepared so it is difficult to assess the progress we are making at this moment. We are pleased that we have solved some key problems, but our return to the right place is still going on." She spoke of how the team not only had worked on producing an improve 2019 but added that also and probably of more importance was the assessment and redesigning of the entire structure of the team's operation. "There is a lot of work around our business and we have taken steps that we spoke about last year, we are sure that the company, its structure and activities are suitable for the intended purposes. We do a lot of work, making sure everything is on the right track for us. We are working on our recovery plan and it goes according to schedule, "added Claire. As for the design and development of the 2019 FW42 Claire added: "We’re pretty happy that we have resolved some of the key issues that we had last year. But our recovery is still very much a work in progress. "We’ve obviously had the plan that we’ve put in place around car development that’s been ongoing for a while now," she said. "That’s been going I think probably as we would expect."